Los Angeles’ Olympic bid chairman Wednesday gave his most conciliatory comments to date suggesting the city is open to the possibility of a “dual award” decision that could make Paris the host of the 2024 Summer Games while awarding Los Angeles the 2028 Games. A spokesman for LA 2024 later clarified the city has not given up its bid for 2024, and Chairman Casey Wasserman reiterated in his statement the strengths of Los Angeles’ proposal for the 2024 Games. But Wasserman clearly indicated the city's openness to a possible compromise decision by the International Olympic Committee. “To be blunt, LA 2024 has never been only about L.A. or 2024. Even when the issue of a dual award for the 2024 and 2028 Games was initially raised, we didn’t say it’s ‘L.A. first’ or it’s ‘now or never’ for L.A. That sounds like an ultimatum,” Wasserman said. “We could have used that strategy, but we didn’t because we thought it was presumptuous to tell the IOC what to do and how to think. We’re better partners than that. It has always been our contention that LA 2024 had to make as much sense for the Olympic Movement as it did for the people of L.A. And we’ve stuck to that premise,” he said. Los Angeles and Paris are the only two cities left bidding for the 2024 Games, after Boston; Rome; Budapest, Hungary; and Hamburg, Germany, dropped out. The IOC is scheduled to select the host city in September, but IOC officials are scheduled to meet in Switzerland later this week to discuss options for the ‘24 and ‘28 Games, including the possibility of naming a host for both at the same time. After Wasserman's statement was issued, a spokesman for LA 2024 said the bid committee has not given up on 2024. 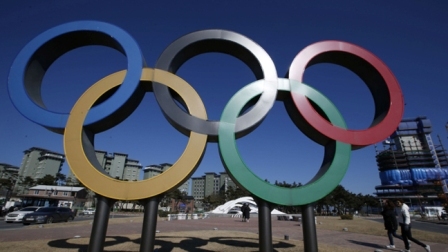 “LA is not conceding anything in the race for the 2024 Games,” the spokesman said.